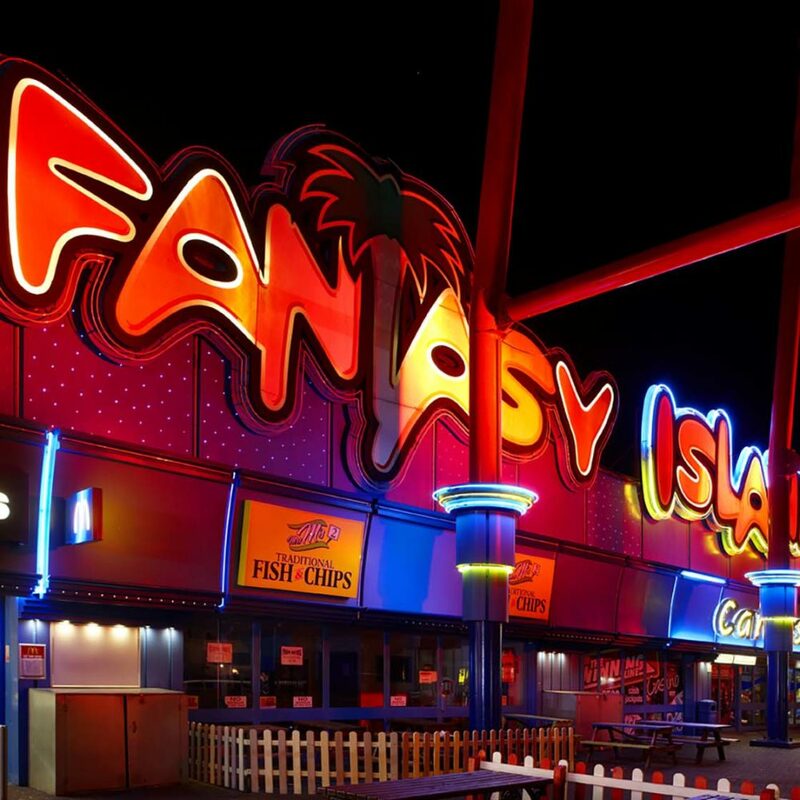 Fantasy Island is a popular family resort in Ingoldmells, near Skegness and one of the largest amusement parks in the UK welcoming up to 40,000 customers per day. 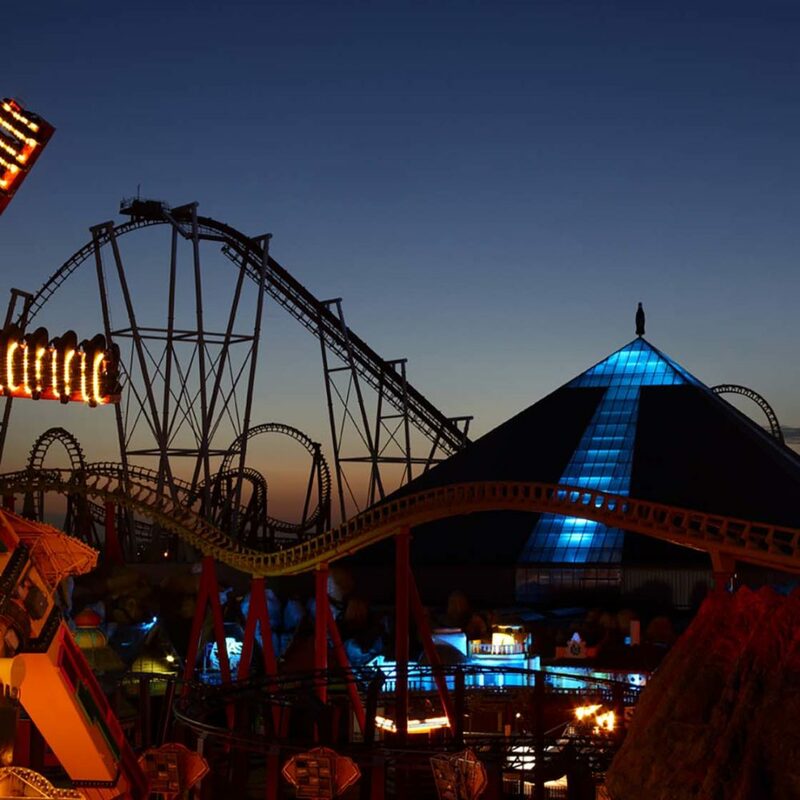 It has 24 thrill-seeking rides, daily shows and Europe’s largest seven-day market, all of which mean that this huge site has electricity bills of more than £400,000 per year. Working with SaveMoneyCutCarbon, the park owners will save thousands of pounds over the next year and reduce carbon footprint by nearly four-fifths, with additional savings coming from reduced maintenance over the long life of the new LEDs being installed. 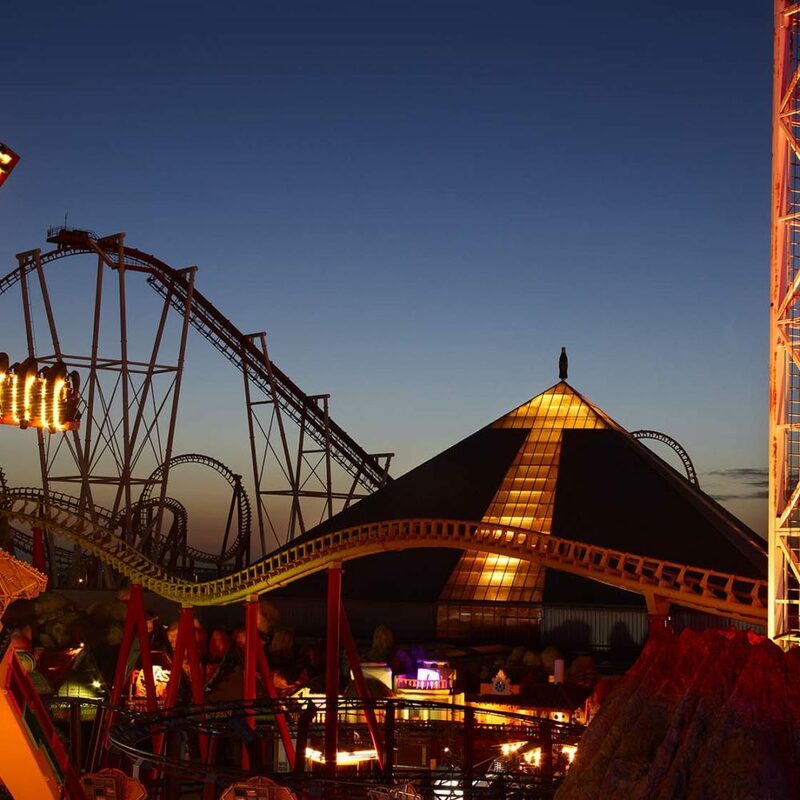 The park owners, an investment house based in London, were looking for a new breed of consultancy to look at all their utility consumption – one that could actually deliver savings rather than just produce reports. The London based owners engaged with SaveMoneyCutCarbon whose dedicated Field Services team created detailed proposals outlining a specification of products, an initial financial outlay, and return-on-investment data to identify a wide range of savings. Initially, our dedicated field services team created detailed proposals outlining a specification of products, an initial financial outlay, and return-on-investment data. 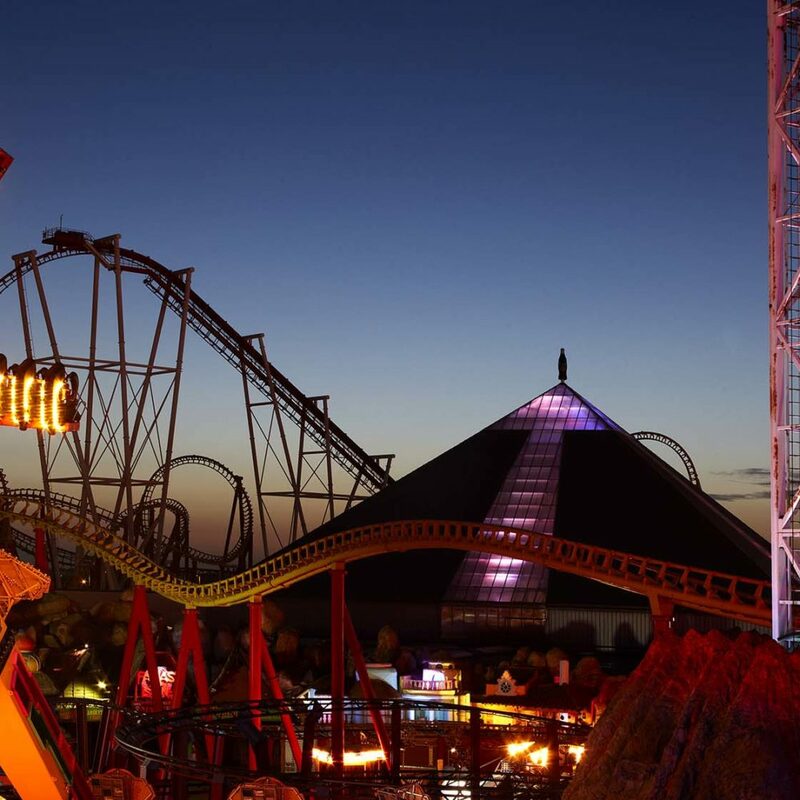 As part of this, SaveMoneyCutCarbon proposed an LED lighting scheme to fit in with the site’s ongoing development plans, cutting electricity costs and freeing up electrical load so that the spare capacity could be used on new rides. The scheme would also create a real “lighting wow” for holidaymakers approaching the seafront. 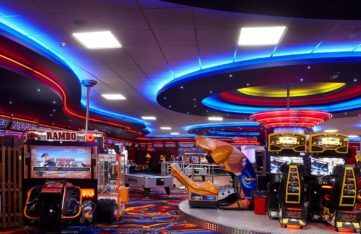 Flexibility was a key element of the project as the owners had concerns caused by a very bad experience with another LED supplier that had attempted a total LED retrofit approach rather than accurately identifying areas where LED was the perfect solution, and leaving other areas with more traditional lighting types. 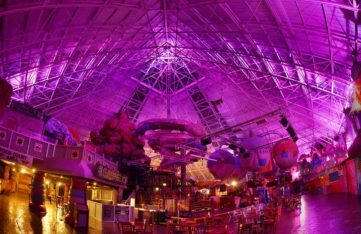 Amongst the products installed were remotely controlled RGB fixtures illuminating amusements and rollercoasters in multiple colours. 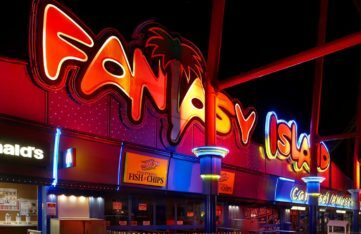 These were perfect for Fantasy Island as the management could maintain the flexibility of their existing lighting systems, by being able to change the colour of the lighting remotely. At the same time we significantly reduced their electricity bill. Over in the car park, we are installing 360 degree LED head lamps to deliver powerful lighting to keep the area safe and deliver big savings. Our site-wide refit also included LED panels in office areas. The first phase of the phased LED installation is complete and monitoring shows that electricity lighting power consumption has been reduced by 86% across the delivered projects. With this evidence of savings and better light levels, the park will now be adopting LED whenever replacements are required or new projects are developed. The park owners are also delighted that carbon emissions have been reduced by the same amount – 86% – from 129 tonnes to 18 tonnes in the first phase alone. 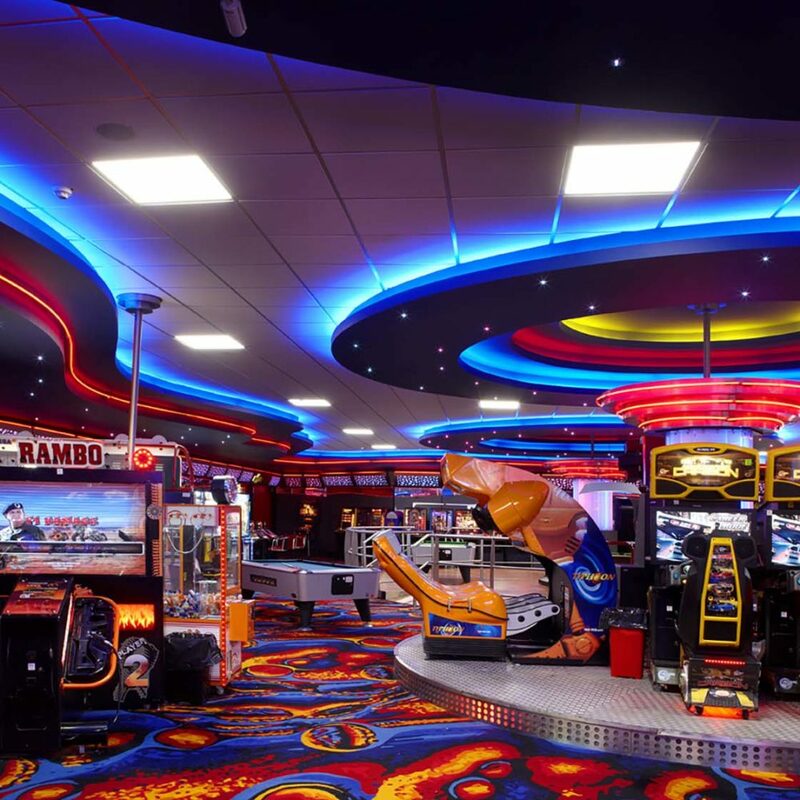 The introduction of RGB LEDs allows the park to create amazing colour light effects and make huge energy savings, although SaveMoneyCutCarbon has also worked on more traditional LED solutions such as LED tubes, panels and car park lighting. 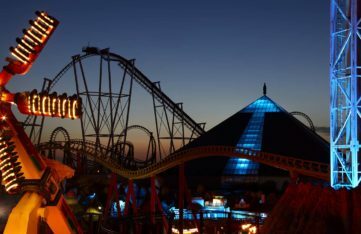 Previously the coloured lighting effects on rides and entrances were using traditional lighting, each light being 400–1000 watts. 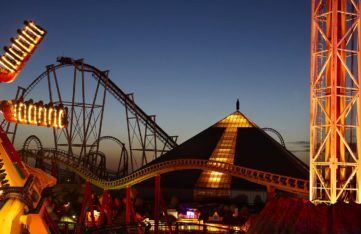 A typical tower on a ride was lit using 10Kw (10 x 1Kw) flood lights with limited life and limited effect. Some rides had four of these. 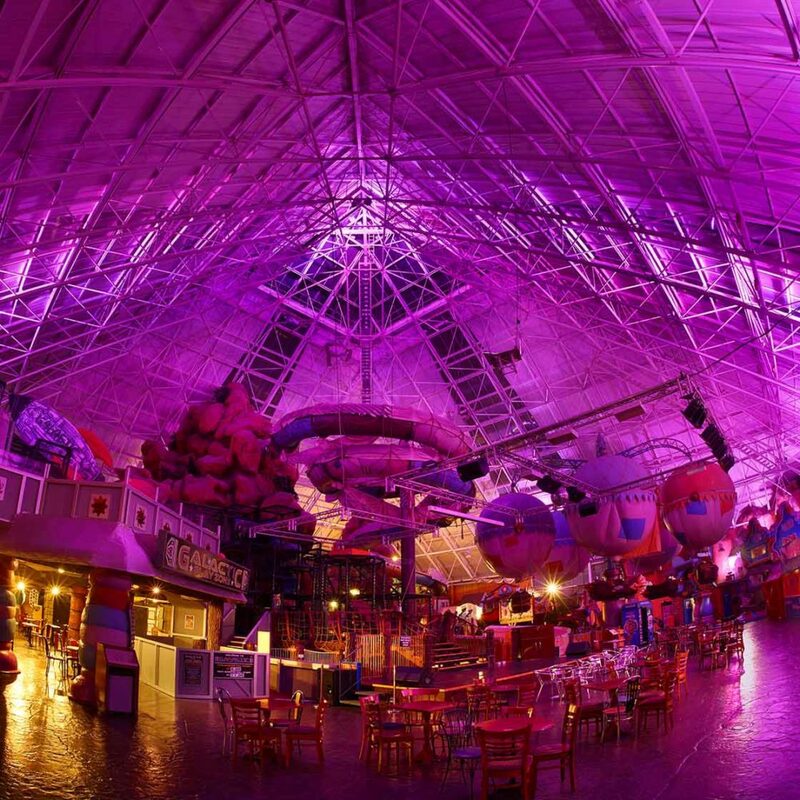 The first phase RGB LED solution provides millions of effects but uses a fraction of the energy. For example, one of SaveMoneyCutCarbon’s largest RGB units uses maximum 240 watts and can punch light 100 metres into the air. “This is the very latest technology in LED lighting as used at the Olympics and allows us to control the lights across the park using wireless technology directly from my PC or even an iPhone. We can create amazing effects in seconds."